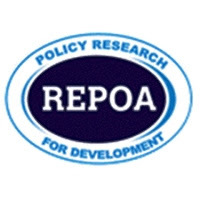 REPOA is an independent policy research institution established in 1994 to undertake research, capacity building, and policy engagement on various aspects of economic growth and human development. It is one of the leading research organization in Tanzania, and among the top Think Tanks in Sub-Saharan Africa. REPOA believes that evidence-informed policy dialogue and development is necessary for effective planning and designing of interventions for accelerating socioeconomic transformation for inclusive development. The Researcher is expected to carry out strategic research projects and studies as part of a multidisciplinary team of researchers and in line with REPOA’s research programme and its mandate. Ensure monitoring tools and relevant indicators at project levels are in place and implemented for purposes of assessing the operational effectiveness, outcomes and impact of the research works. A master degree in social sciences or other relevant field with a minimum of three years of experience in an academic or research organization, and at least two publications in a recognized and reputable forum. A recent PhD will also be considered for this post. Recent graduates of a good Masters’ degree may also be considered but for a lower position of an Assistant Researcher. A newly established office in Dodoma after few months of orientation at Dar es Salaam office. Attractive remuneration package will be offered to the qualified applicant in line with REPOA’s scheme of service. Interested and qualified applicants are invited to apply and should send their typed application letter clearly marked “Application for a position of Researcher” and detailed CV including three referees to the address/E-mail: repoa@repoa.or.tz on the right by 6th February 2019. Only selected applicants who meet the above requirements will be considered for an interview. Those who do not hear from REPOA two weeks after the expiry date should consider themselves unsuccessful. REPOA is an equal opportunity employer. Women are encouraged to apply.